I am incredibly lucky and can now walk into Windsor Great Park from my house so often run or walk there. You have to go quite a long way into the park from the entrance I use to find blackberry bushes but I know where to find them. 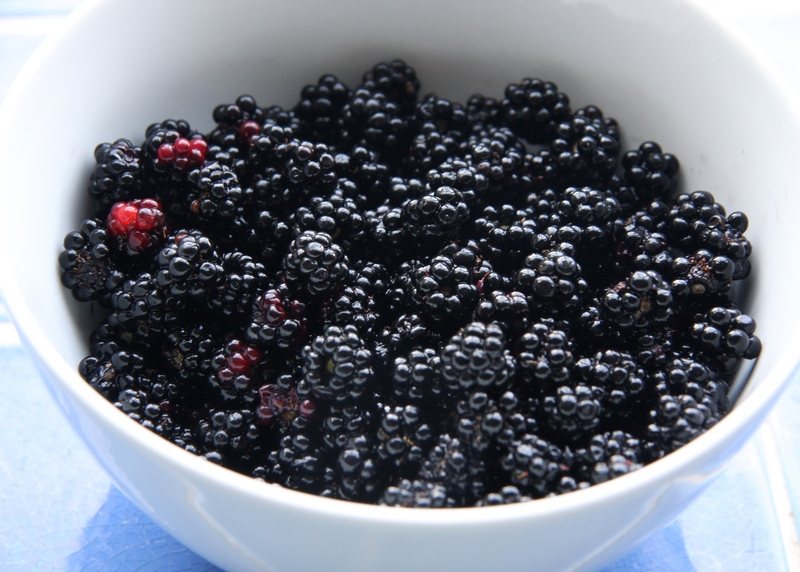 I must have walked about four miles and managed to gather approximately 150g of blackberries. 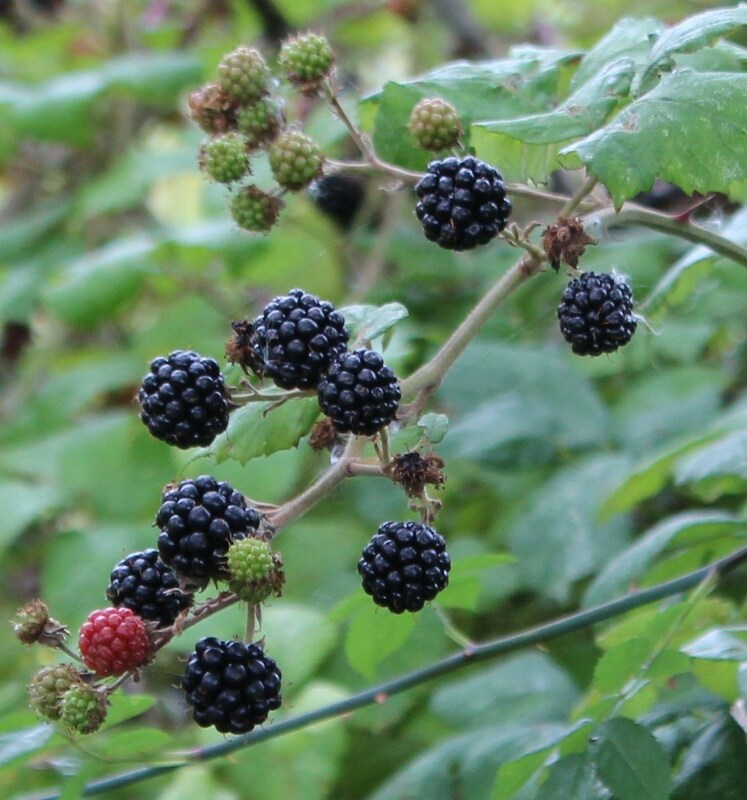 Luckily I was really out for a walk and a few blackberries rather than the other way round. 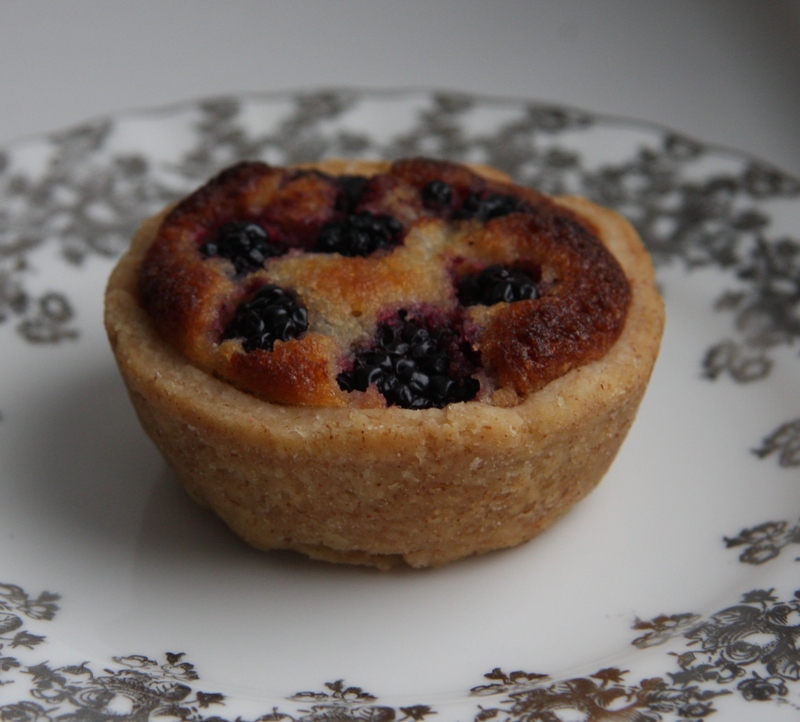 I took these bakewells to my brother’s as I thought they would be as good with a cup of tea in the afternoon as a dessert in the evening so we could eat them whenever it suited. In the end we had them with cup of tea, which was lucky as dinner was an incredibly delicious Thai meal cooked by my brother’s girlfriend, Alex. We definitely didn’t need dessert. 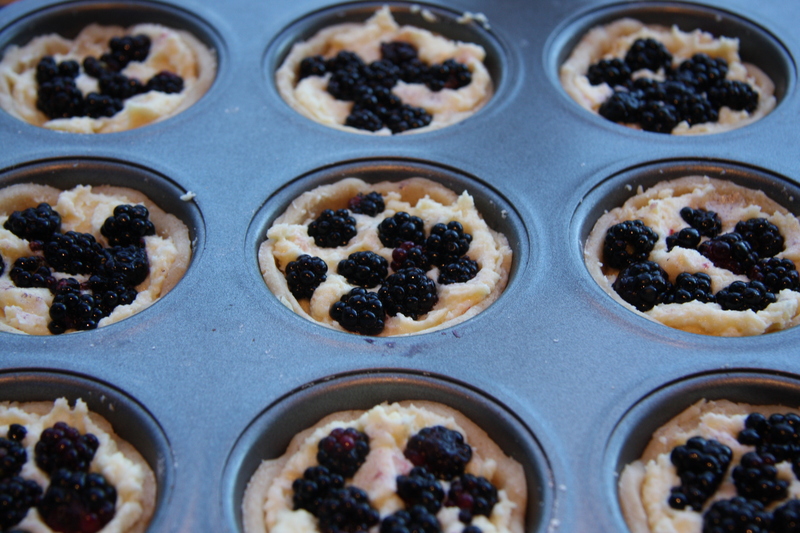 Make your pastry and allow to chill if necessary. 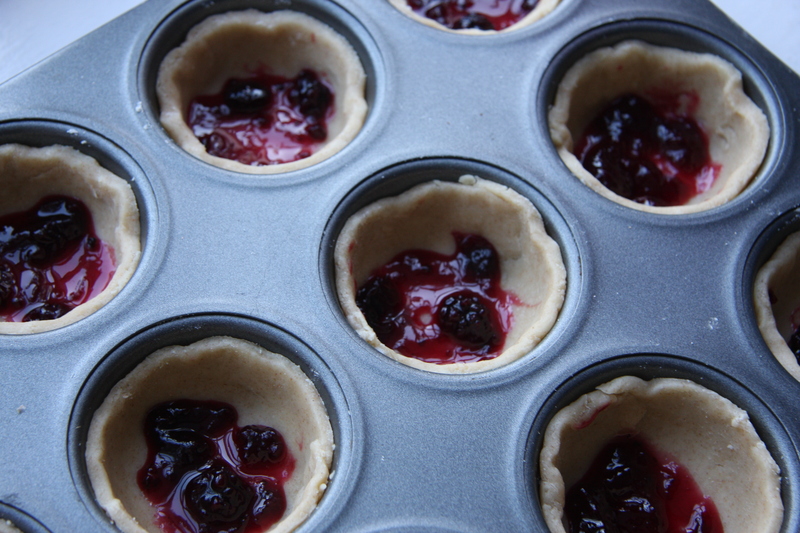 Roll out the pastry on a floured surface and cut out discs large enough to line a 12 hole muffin tin. 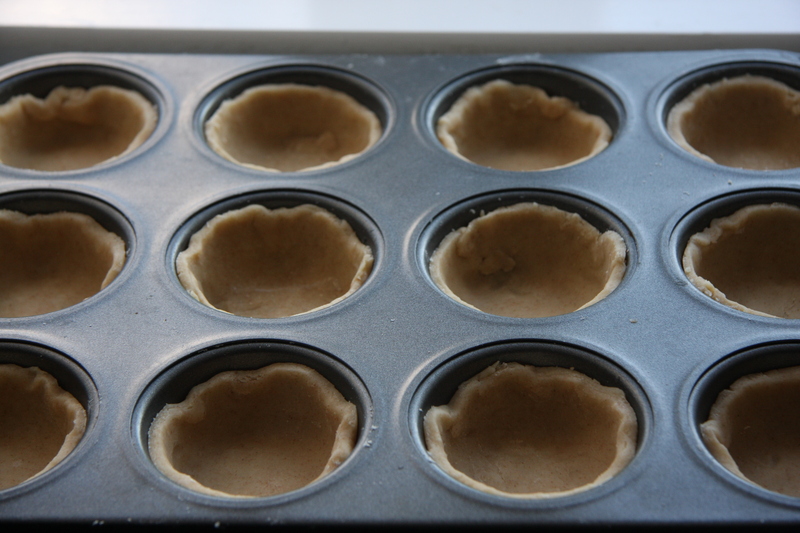 I chose to use a cutter that was shallower than the muffin tin so that the bakewells were not too deep. Scatter over the flaked almonds. I was so sure I had flaked almonds I didn’t even check before I started and it turned out that I didn’t have any after all, which is why they are missing. Bake for around 15-20 minutes or until well browned and quite firm to the touch. Allow to cool for a little while in the tin before removing and leaving to cool completely on a wire rack (if you are not going to eat them warm). 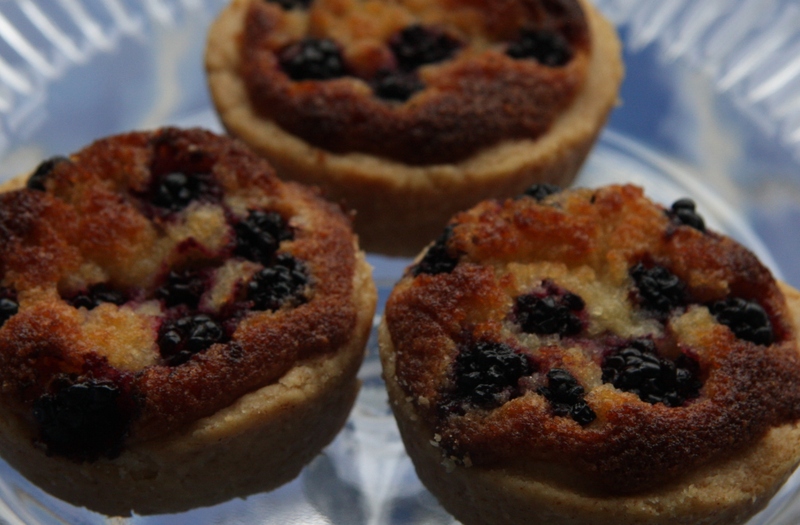 The tarts look very delicious. I would serve them warm with some homemade custard. Lovely!